Jennifer and Andrew got married at St.Clements Church and had their reception at The Hunt Club. A very “proper’ and well thought out event, to the most minute detail. However…toward the end of the evening, she pulls out a bunch of hats (hand made in Venezuela), for her guests to wear. The real fun begins! Perhaps with the help of a few fancy cocktails, young and old joined together in a wild Hora Loca (Crazy Hour) Venezuelan style. 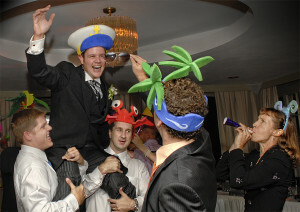 If you like to spice up your party, give your guest some hats to wear… they’ll go nuts! Wow! What fun! 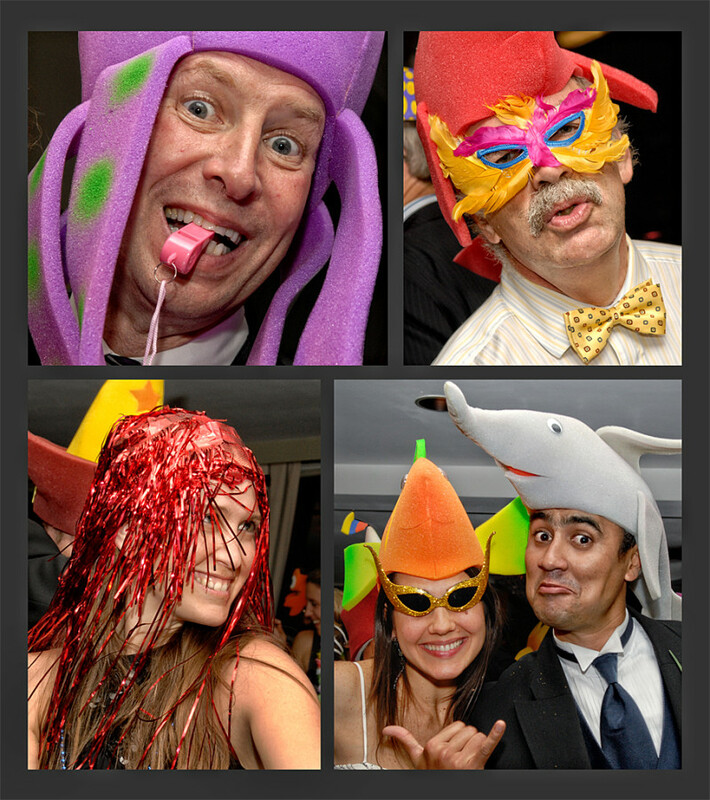 looks like the photographer had just as much fun taking the pictures as the guests at the party. Wish I was invited to that wedding! Belle foto piene di colore ed umorismo. Great candid shots! I like the hats and masks idea to bring out the fun in everyone.